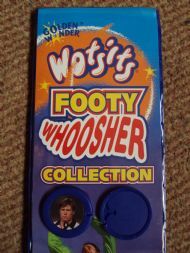 One of three sets issued by Wotsits in the 1990s. This one has discs with a built in firing strip. Each player has a reference card as well asa photo disc. 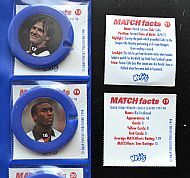 Great football collectables available in packs of Wotsits. 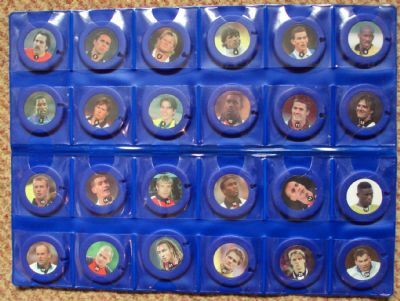 I made myself sick trying to collect the full set! 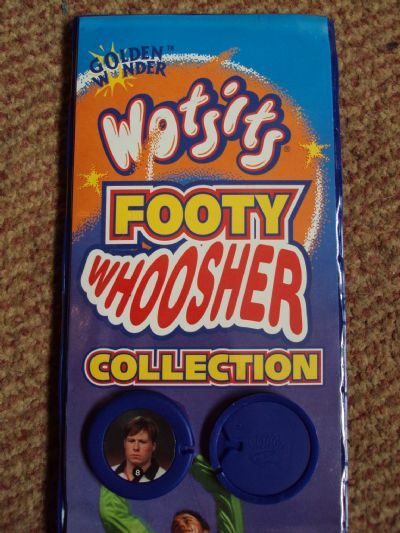 Each whoosher had its own pocket to display the collection. Nicely made. Poor old Nicky Barmby about to blub.